At E3, Chris Leggett examines Xbox One-exclusive Forza Motorsport 5, the first high-profile racing simulation to make it to the next generation. Chris is a Gameplanet contributor and Kiwi ex-pat who now lives in Seattle. 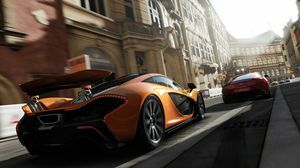 While Gran Turismo slumbered, Forza Motorsport emerged as a worthy contender in a genre once considered to be well wrapped up by Sony's established racing property. When Gran Turismo 5 finally released in 2010 for PlayStation 3, many racing fans had already traded allegiances. And with the announcement of Forza Motorsport 5, Turn 10's racer beats Gran Turismo to the punch as the first of the rival franchises to feature on next-gen hardware. The time just might be ripe for Forza to cement a pole position. Bill Giese, design director of Forza 5, talked us through the many changes and improvements to the series' popular formula that the Xbox One architecture affords. The first major improvement brought to our attention pertains to Autovista: the mode introduced in Forza Motorsport 4 that enabled players to examine their vehicles in exceptional detail. Where Forza 4's Autovista featured only 24 vehicles, every single one of the "hundreds" of cars on offer (Turn 10 isn't talking exact numbers just yet) will feature in Forza 5's version, now simply named "Forza Vista." 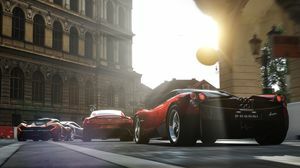 While Forza 4's cars were indeed striking when viewed in Autovista, Giese and his teammates acknowledged that "there was something that still wasn't quite right, kind of in an uncanny-valley way." So Turn 10 re-examined the way it approached lighting and real-world materials and learned something crucial: their existing approach was too good for its own good, and it's the imperfections that make an object believable in a high-definition environment. "When you walk up close to a car, you can see those little, tiny imperfections. Where the Armor All is buffed on, you can see the marks," explains Giese. This revelation caused Turn 10 to build the assets of Forza 5 with three different layers: base coat, metal flake and clear coat. "We apply these materials to every single aspect of the game," says Giese, which results in the most realistic visuals the series has ever seen. 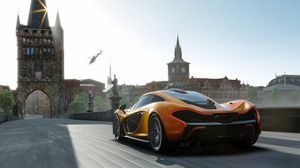 Another important new aspect of Forza 5 is how it leverages the cloud connectivity that's become something of a sore point for many gamers regarding the Xbox One. For a more basic example of this cloud-powered Forza, your purchasing decisions (using in-game credit) and the liveries you choose to install are stored online; Forza 5 will continue to intelligently suggest new cars and liveries to players based on these preferences. For instance, Giese mentioned that he liked The Simpsons, and so if he purchased a Simpsons-based livery, the system would notify when new ones became available for his chosen cars from the community. "We have a robust community of amazing painters," says Giese, who contends that the new cloud features of Forza means players are "more easily able to enjoy that content." Players who design and create popular liveries are reportedly rewarded with bonus credits. 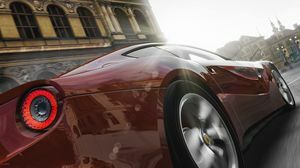 But the major use of cloud connectivity for Forza 5 is certainly the new implementation of the Drivatar system established in the very first Forza; AI that's designed to replicate a player's driving style, warts and all. "We gave players tools so they could train the Drivatar manually," begins Giese before admitting that it wasn't the most effective means of producing the desired effect. "How do you truly recreate how somebody drives?" The answer, he contends, is by enabling Forza 5 to constantly send a player's every tendency to the cloud; whether they tend to understeer or oversteer, whether they tend to brake early or brake late before a bend. Forza 5 recognises enough elements of driver behavior to keep an ongoing, up-to-date model of the way a player drives stored in the cloud. "At the end of the day, when you put your controller down, that's when your Drivatar is going to go to work," says Giese. Without the need for the player to be online, their Drivatar will appear in the games their friends play, complete with their name, stats and driver behavior. A player's Drivatar will even earn credits for them while it races on their behalf. Giese informs me that there are no negative consequences of this feature for the player; the races a Drivatar participates in will not affect the player's career or stats in any way. Turn 10 has employed the talents of Lucasfilm and Skywalker Sound to create an orchestral score for Forza 5 that adapts to the nature of a race. When players overtake other racers, take the lead or approach the finish line, "the score is going to ebb and flow based on that," says Giese. It's also understood that Forza's partnership with Top Gear continues in Forza 5. Jeremy Clarkson will this time be joined by his co-hosts in providing some degree of commentary, although Turn 10 is saying no more at this point. The studio will also not confirm the final number of tracks to feature in Forza 5 at launch right now (although we know it's in the hundreds), but a Prague-based raceway was demonstrated for this session. 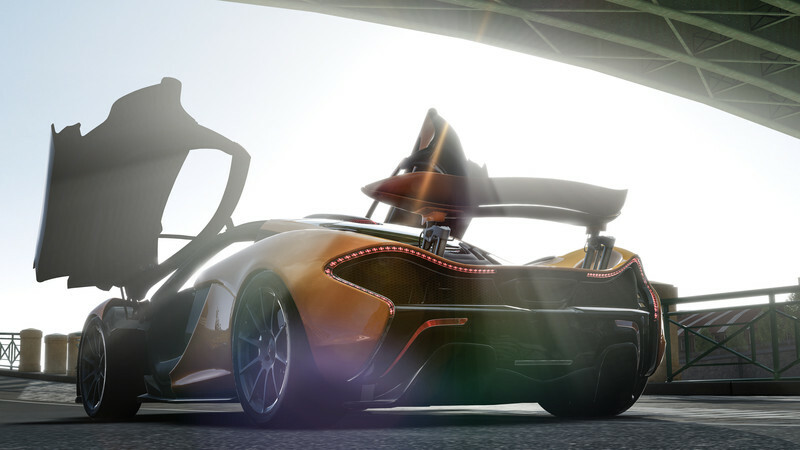 "It's really important for us in Forza Motorsport 5 to build living, breathing worlds. Prague was a good canvas for that. It's an old-world city and there's texture we can see in the buildings." Giese also pointed out how the improved light modelling sees sunlight stream through the windscreen and reflects off the carbon-fibre dashboard in an extremely realistic fashion. Forza 5 will run at 60fps at full 1080p, support head-tracking via Kinect and also allow players to summon the main game hub at any time with voice commands. It will utilise SmartGlass for leaderboards and achievements, and Giese suggested that more will be revealed about its SmartGlass in due course. Giese also advised that Forza 5 will utilise dedicated servers for its multiplayer component, which is a first for the series. Turn 10 will make an announcement later in the summer about a partnership with Calspan, leading pioneers in tire testing. 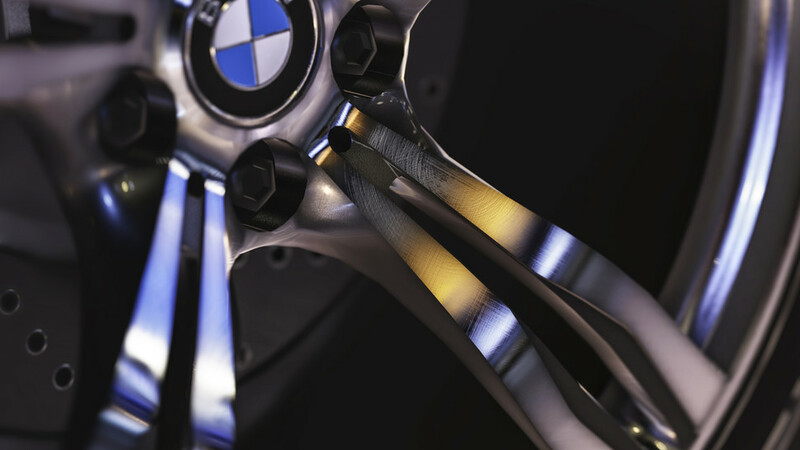 Specifically, Giese hinted that the partnership means big things for Forza 5's physics engine. As a truly next-gen incarnation of arguably the top racing franchise on the market today, Forza 5 appears to be one of the best cards in Microsoft's hand right now. Even more than this, it might be the most convincing ambassador yet for the company's vision of a connected gaming future.